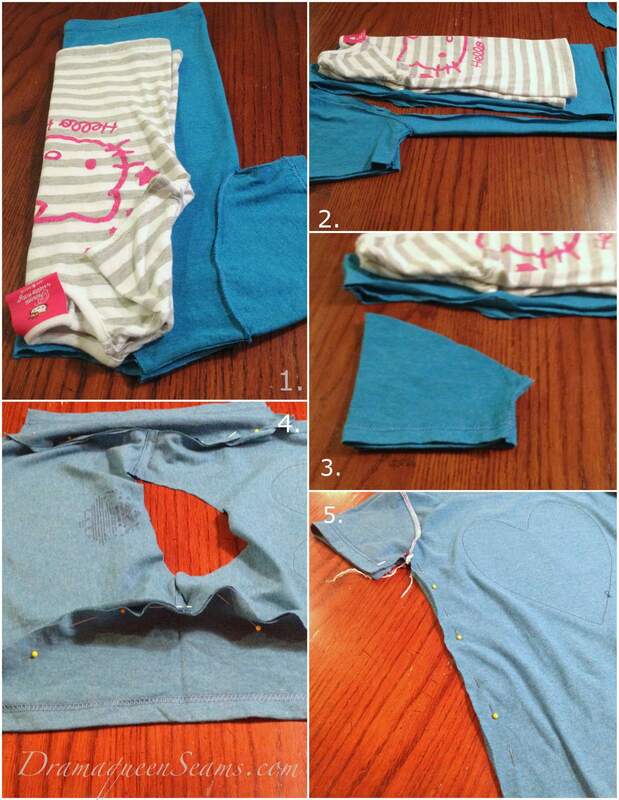 I’m in love with hearts right know and this little lovely t-shirt re-fashion is a quick one to complete. I used a t-shirt from the $ store, heat bond, and scrap fabric. 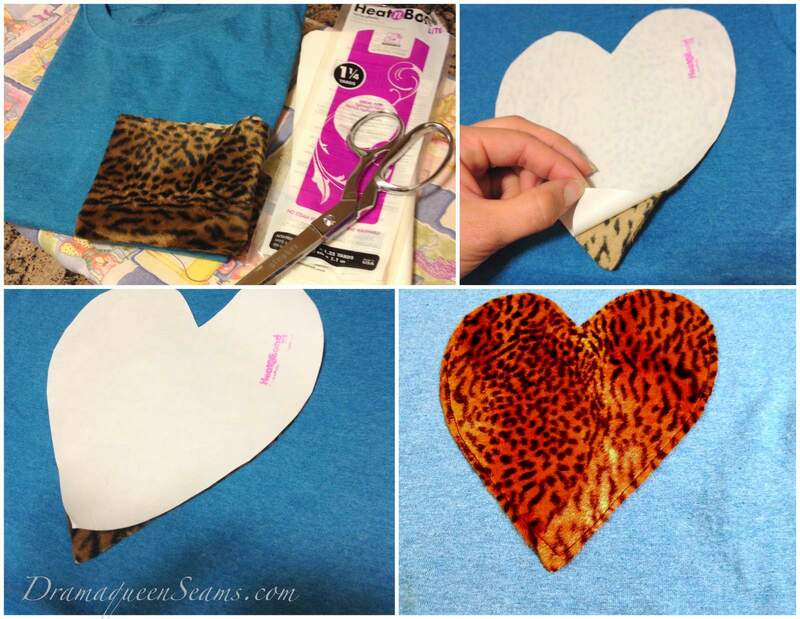 Cut out the heart shape, ironed it onto the heat bond then ironed my heart onto my t-shirt. I like the look of the stitching around the edge of the heart so I used a simple straight stitch to finish it off. I used a t-shirt that fits well as a pattern to make the boxy tee more fitted and girly. I’ve already cut off the neck at this point. Pin the sleeves the shirt at the seam. Then stitch up the side of the tee. You don’t have to surge the edges of the tee but I like the finished look even if it’s on the inside and no one will see it. I did however leave the bottom edge raw but did a straight stitch along the neckline so it wouldn’t stretch anymore. 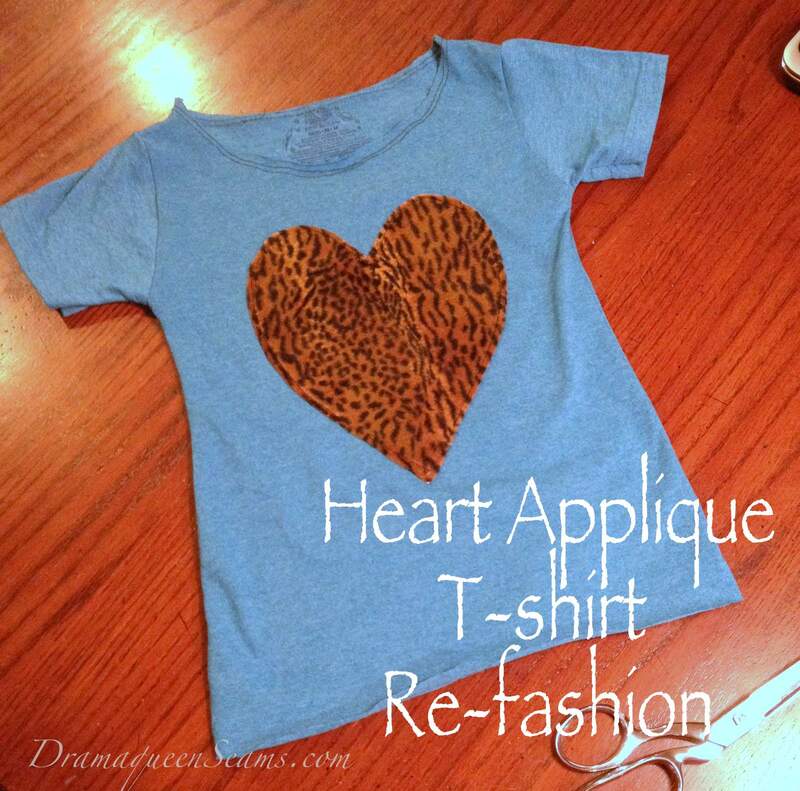 Now we have a new heart applique t-shirt to wear today. 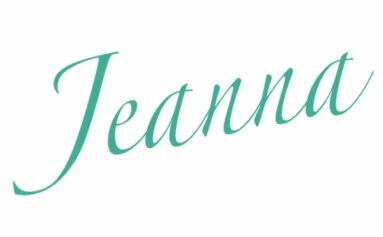 Please check out my other posts from my 31 day challenge of creativity by clicking the box below. I love to hear any and all comments from you guys.